First off, we want to apologize for missing our Thursday post, it has been a very hectic few weeks for Team UV; to make up for the missed post, we will have a post this upcoming Monday (03-23-15) at 1000 hours sharing a little bit about what Team UV has been up to recently and some major accomplishments. In the mean time, however, I’ve got an Open Mind post to share! Although one of the first recorded uses of sloped armor was on Confederate ironclad warships during the Civil War (it is interesting to here note that most early tanks were actually designed by naval engineers), the technology saw its first true ground vehicle implementation in French WWI era tanks. Further, the technology was brought to the spotlight through its use in the Soviet T-34 medium tank, and was made infamous by the seemingly invincible Panther (medium) and Tiger II (heavy) tanks used by Nazi Germany in WWII (that is, until the fire superiority, vast numbers, speed/agility, and overall ability of the US M4 Sherman tanks, combined with the invaluable experience of the Sherman tank crews, and the American air dominance proved overwhelming to the Axis powers). This technology, although very simple conceptually, had colossal implications. For a projectile coming in horizontally to pierce the armor, it has to pass through a greater thickness of material due to the angle that the plate makes with the horizontal. More efficient use of material; a sphere has less surface area than a cube for the same volume and so if you want to envelope a volume with the least amount of material, you try to approximate a sphere by using more and more angled pieces. Deflection. Assuming an optimal combination of armor vs. projectile materials, an incoming projectile might ricochet straight off of the armor or at the least have its path deflected due to the angle of incidence as it passes through the material. First used by the Germans in WWII, slat armor (a.k.a. cage armor) arose to greater prominence during the Vietnam War and has experienced renewed interest recently in the Middle East. The general idea behind this armor is that by simply putting a cage of slats around vital/unprotected parts of a vehicle, an incoming anti-tank weapon (say a rocket propelled grenade, or RPG) can either be forced to detonate prior to contacting the vehicle body itself (thus disrupting the path of the shape charge, which was originally intended to pierce into the vehicle) or by actually damaging the warhead beyond operational capability (effectively crushing it so it no longer works). 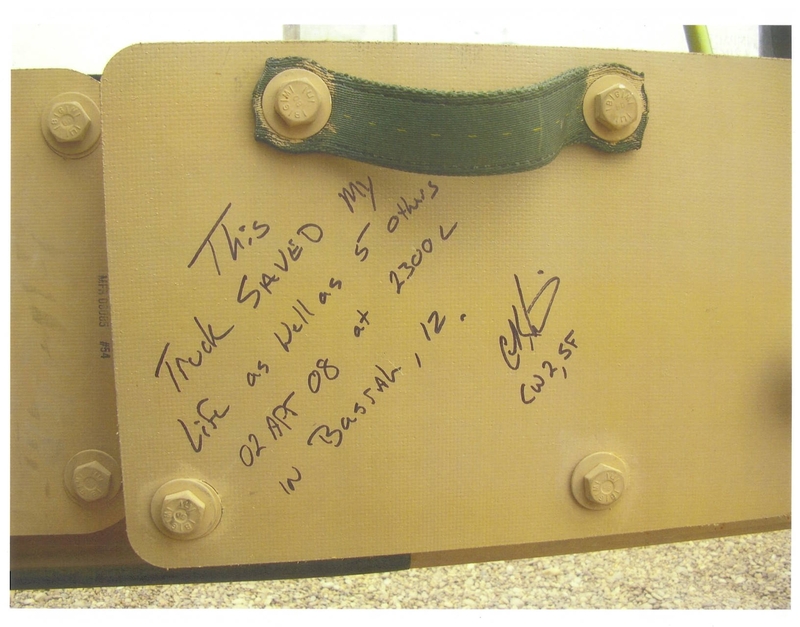 Slat armor is a relatively inexpensive, simple means of protecting ground vehicles; unfortunately, this armor only has about a 50% working rate and so is generally used in addition to other, more capable armor, bringing us to the next item on our list. Easily one of the cooler revolutions in armor over the last century, reactive armor provides an opposite reaction when it experiences impact from a weapon. There are many types of reactive armor, but explosive reactive armor is the most common. This armor consists of a high explosive situated between two plates that effectively helps to offset the energy from the weapon that contacts it; when a projectile pierces the top plate, the inner explosive reacts, pushing the two plates outwards…since the outer plate is open to the atmosphere (whereas the inner one interfaces with the vehicle structure), the outer plate flies out further (taking the expended energy with it and generally destroying the projectile itself!). This armor saw its first combat usage in the 1982 Lebanon War by the Israeli Defence Force and has found very wide usage today. 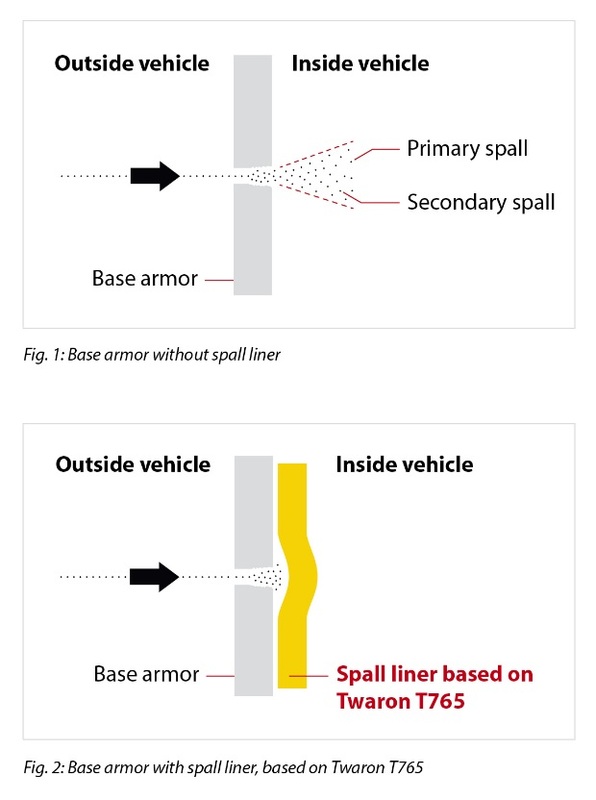 Spall liners are an interesting addition to traditional armor that came about to solve the problem of what might happen if a shape charge were to successfully penetrate a vehicle’s hull. 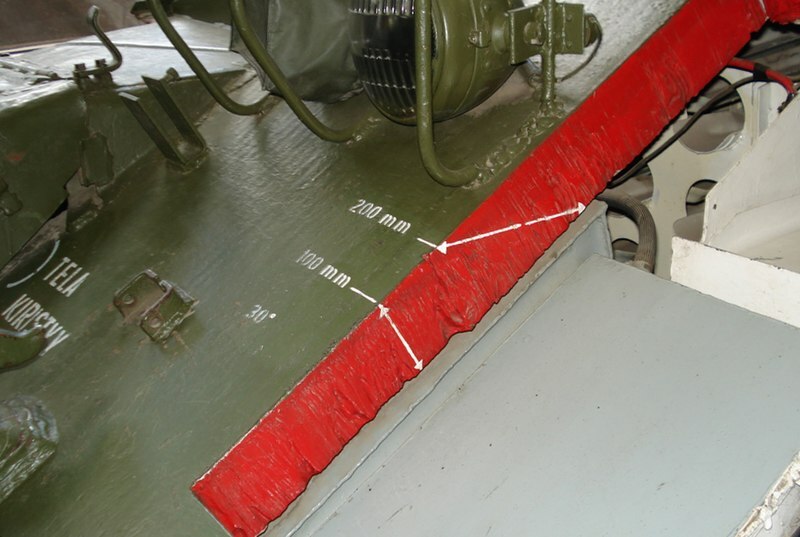 The actual scientific explanation of spalling and the action of spall liners is truly quite complex, but from a superficial view, it can be stated as follows: spall liners essentially protect the crew inside the vehicle from fragmentation in the event of the hull being pierced. The liner is made of highly compliant material that can in effect absorb the energy and shrapnel associated with the fragmentation. These spall liners found their first use during the Cold War. V-Hulls are a novel idea that first arose in the 1970s as an answer to the increased use of anti-vehicle road explosives (similar to the improvised explosive devices or IEDs that have become unfortunately common in the Middle East today) during the Rhodesian Bush War in the south-eastern regions of Africa. The aptly named V-Hulls are essentially a design modification of the vehicle that alters the bottom of the vehicle from being flat to being V-shaped, which helps to redirect the shock wave from an under-vehicle blast away from the vehicle and its passengers. This design has been vastly successful and has become a very common feature on modern infantry fighting vehicles (IFVs) and armored personnel carriers (APCs) during the conflicts in the Middle East, where the threat of IEDs has become of great concern. The last innovation that we will cover in this post is the advent of run-flat tires, which have been used widely for military, law enforcement, government, aid groups, and protection of high-level executives since as early as the 1930s with the Michelen self-supporting run flat tires that would run on a foam lining if punctured. Today’s military vehicles use a slightly different type of run-flat tires referred to as auxiliary-supported run flat tires. These tires essentially use a secondary support ring capable of supporting high weights at elevated speeds for long periods of time. If the tire is punctured (or perhaps shot), the vehicle can continue on its way or get out of Dodge quickly. 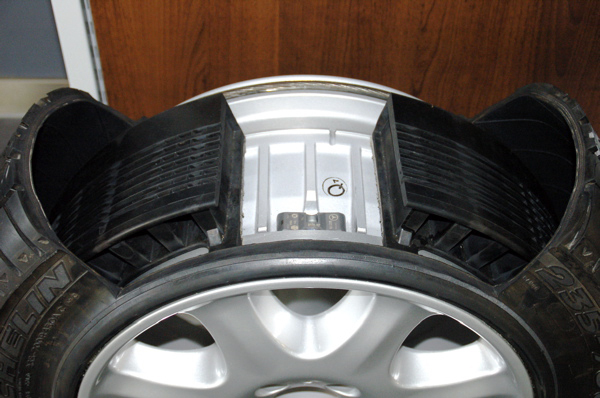 Another big plus is the fact that these can be placed inside of standard tires and thus do not require specialty tires/wheels. Well there you have it: some of the coolest and most useful armor technologies to emerge for ground vehicles over the last century. These technologies continue to help ensure the safety of the men and women who work to protect us (whether that be in the military, law enforcement, or even aid workers). Not only are all of these technologies vital to survivability considerations, but they also represent a fascinating field of engineering that is improved on through advance research and development on a daily basis with all kinds of crazy solutions up and coming, the likes of which most would not even dream of. Anyways, as always, thanks for the support and have a great remainder of your weekend. Until Monday! ← Team UV Reaches Powered Milestone!